The full-court press is on to shut down Dallas County Schools for good. A referendum on the November ballot could close the troubled school bus agency and pave the way for local districts to take over busing duties. Now, a local state senator and two members of the Dallas Independent School District Board of Trustees are launching a new political action committee that will raise money and support for shuttering DCS, the agency that has driven Dallas-area kids to school for decades. State Sen. Don Huffines, R-Dallas, will head the new PAC called "Protect Dallas Kids," along with Edwin Flores and Dustin Marshall, Dallas ISD trustees who say they are fed up with poor service from DCS, which buses Dallas ISD students under a contract. A political action committee has been formed that will urge Dallas County voters to vote no on Dallas County Schools in the November election. 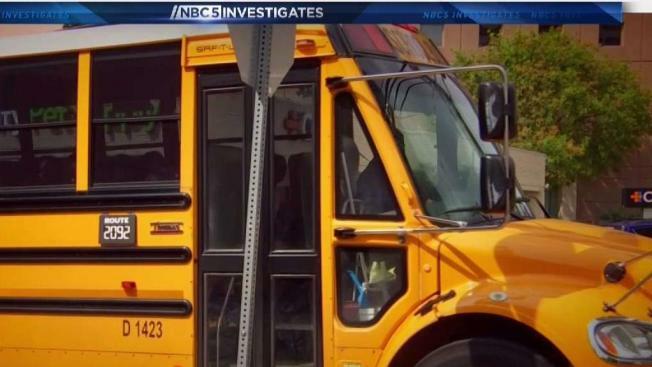 The state legislature put the future of DCS on the November ballot after NBC 5 Investigates uncovered serious safety concerns at DCS and millions of dollars of taxpayer money squandered on risky business deals. DCS says it has become safer, more responsible with money, has a new management team in place, and deserves a second chance. "It's dangerous, they are unreliable and it's definitely ripping off taxpayers," Huffines said Tuesday in an interview with NBC 5. "This is one of only two remaining county-wide school districts in the state of Texas. They have justified their existence for decades by providing transportation and they do a terrible job of it," Huffines said. Marshall and Flores say they are not eager to see Dallas ISD take over busing duties but feel they have no choice, given their concerns about what they describe as poor service from DCS. 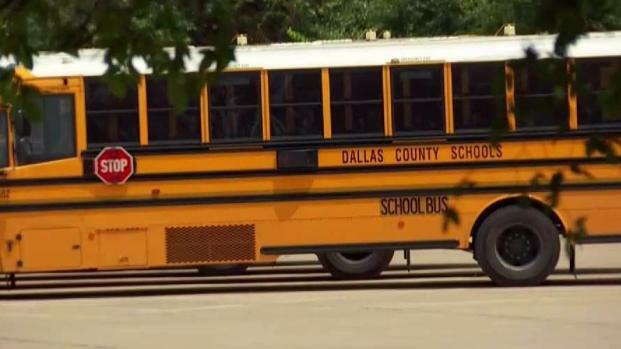 Critics of the plan to close DCS argue Dallas ISD will not be ready to run a bus operation if DCS no longer exists. But Flores and Marshall insist Dallas ISD has plans in place. "Part of our task will be to educate voters that there will be an orderly transition where DISD will absorb the buses, absorb the drivers that are skilled and qualified, and that kids will not be left on the street corner," Marshall said. Dallas Mayor Mike Rawlings said Tuesday that he is also supportive of efforts to close DCS. "We need to have the best transportation system possible for our schoolchildren. That's why it's time for us to unite against Dallas County Schools," Rawlings said, in a statement he issued as a private citizen, not officially as mayor. City ethics rules limit how elected officials can be involved in activities surrounding a PAC. However, Rawlings' support indicates DCS may face significant opposition from some political heavyweights. DCS offered no official response to the announcement of the new PAC. The agency's hands are tied because it is prevented from using taxpayer money to campaign in the election. But unions that represent bus drivers and local teachers plan to fight back with their own effort to get out the vote to save DCS. "Of course we are disappointed that Sen. Huffines and the trustees would put together a PAC to do away with DCS. Our campaign is going to be a grassroots effort, and we are definitely the underdog. I still think we are going to win out," said Dale Kaiser, a board member with the National Education Association (NEA). The NEA and the Texas State Teachers Association have both suggested they may also use their own PAC funds to fight for DCS to continue operating. The vote is on Nov. 7.